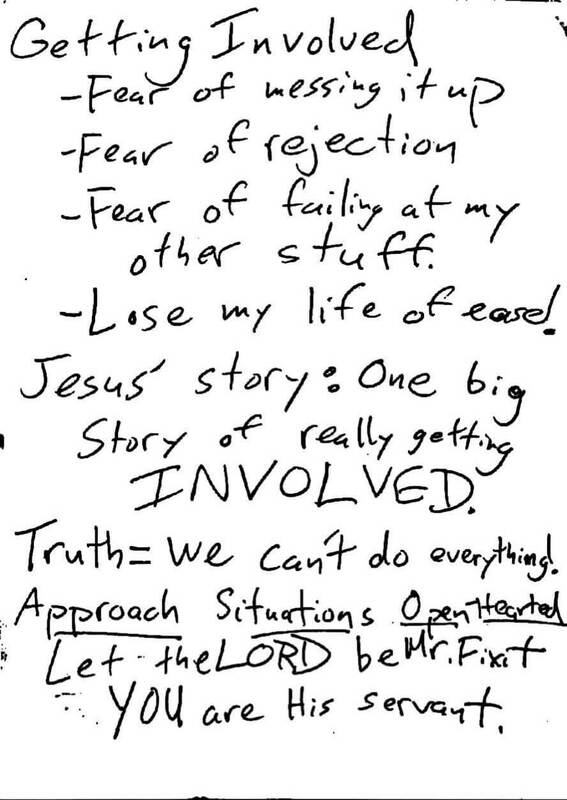 These are my notes from one of our community prayer meetings this week. It talks about the things that prevent us from getting involved with others in their situations and struggles. The more we think about sharing life in common, in sharing life together as a community, these things come up and you really are the better person for looking at them and pondering them. To share means to have mutual possesion of something, and none of us lives or dies to our own selves. Think about some of these things when you are given the opportunity to get involved in the lives of your co-workers, your church, your neighborhood, etc. The guy that spoke was Nick Holovaty, and you can check out his blog over at missionaryjoy.com for more.